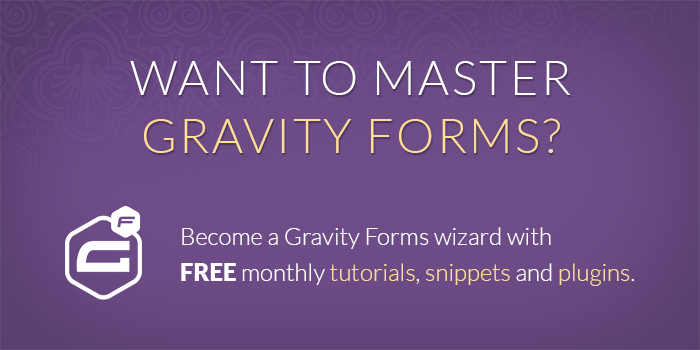 Magically enhanced tutorials, snippets and plugins for Gravity Forms! We’ve put March to good use. Lot’s of bug fixes and a few new features. See the full list below. Don't miss a thing. Get our weekly updates by owl or email. Ok, we're still working on the owl service, so just email for now. 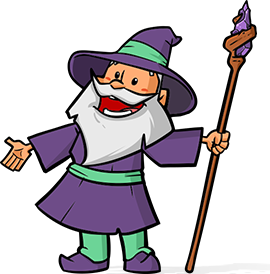 Added support for enforcing minimum requirements for GP_Plugin/GP_Feed_Plugin-based perks. Fixed issue with EDD where some AJAX requests were generating fatal errors. Fixed issue where Nested Form fields were not correctly populated via User Registration Update feeds. Fixed issue with :sum calc modifier where one or more child entries did not contain a value for the target field ID. Added support for GF Zapier. Updated to use minimum_requirements() method for declaring minimum requirements. Added ‘gpnf_entry_url’ filter to allow filtering the entry URL when linking to child entries. Fixed issue with :sum calculation modifier when target field ID was not present in child entry. Fixed issue where some time period values could generate notices if not converted to int. Fixed issue where required asterisks did not appear for Nested Forms when Unrequire was enabled. Added ‘gfcpt_hierarchical_display’ filter to allow filtering whether to display choices hierarchically. Fixed issue with GF 2.3 where taxonomies were not correctly saved on submission.